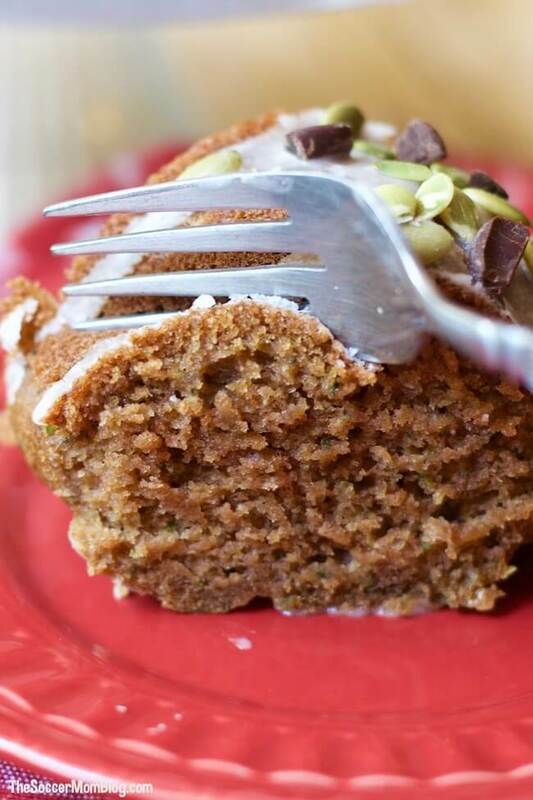 I promise, you’ve never had a zucchini cake like this!! I always thought of zucchini cake as a bit boring. 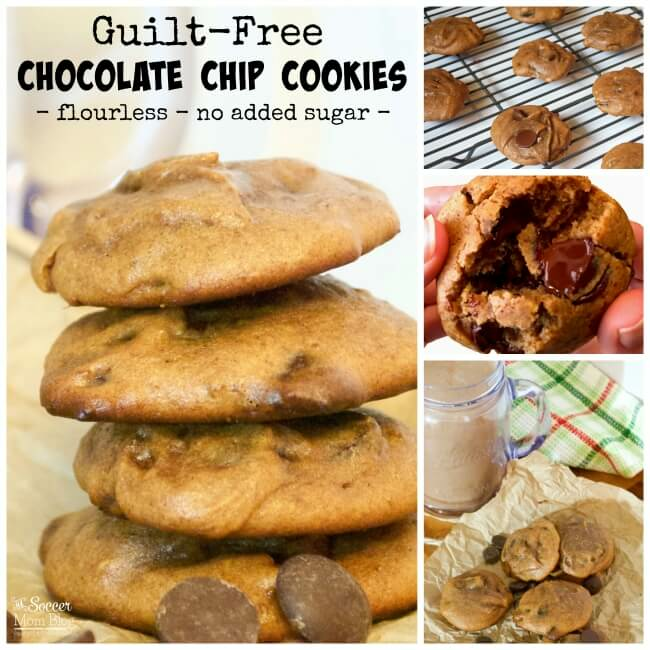 Plus, you often see it marketed as “healthy,” when in reality it’s still loaded with sugar and flour. Oh, and it’s usually chock-full of nuts too. (I think nuts should stay far, far away from my baked goods). 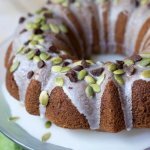 So what changed my mind about zucchini cake? Well, for starters, we changed the recipe! We subbed gluten free flour so it won’t upset my tummy, cut the normal amount of sugar in half (you can’t even tell), bathed it in a glorious dairy-free glaze, and sprinkled with raw pumpkin seeds and dark chocolate for just the right touch of crunchy, salty, and sweet. Sift flour into large mixing bowl (we used a pre-made gluten free baking flour to save time). Add baking soda, baking powder, salt and whisk together. In a separate mixing bowl combine eggs, oil, sugar, vanilla and whisk together to form a batter. Pour batter into the bowl of dry ingredients. 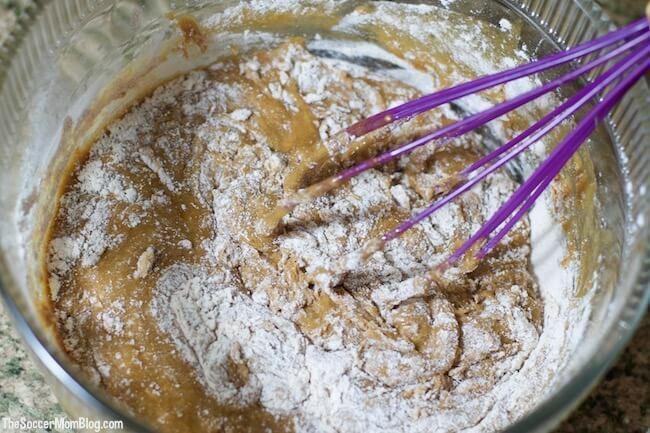 Stir together until combined and you have a thick batter the color of peanut butter. 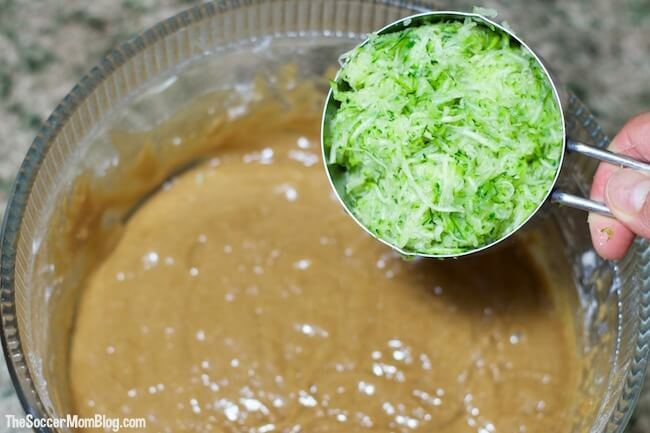 Add grated zucchini to your batter and stir in until zucchini is evenly distributed. 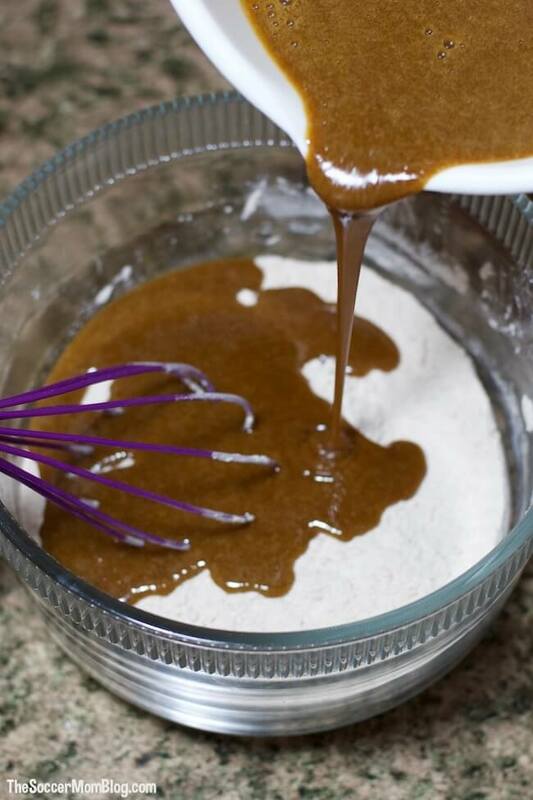 Pour batter into a greased bundt pan (you can use cooking spray or 1 TB butter/flour mixture). Bake for 29-32 minutes at 350°F. Allow to cake to cool completely before removing from pan. Slowly drizzle cashew milk into a medium mixing bowl with powdered sugar, stirring as you go. Adding the milk slowly instead of pouring in all at once helps prevent clumping and makes mixing easier. 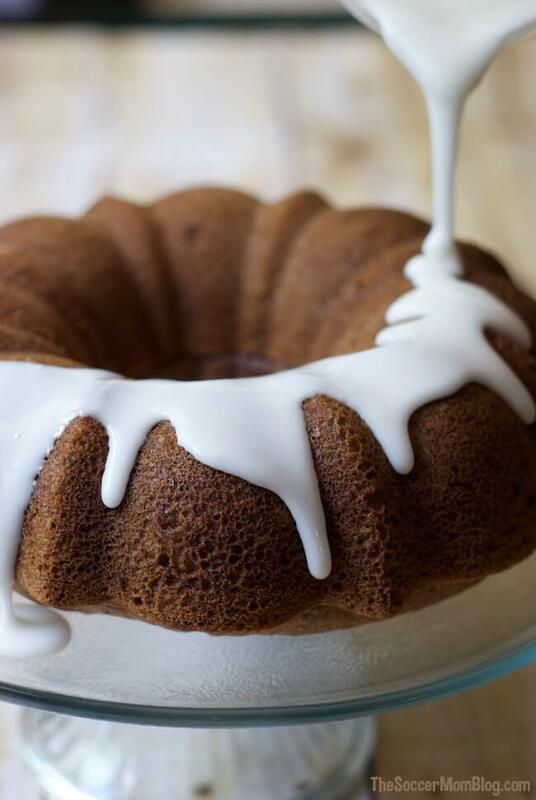 Whisk together cashew milk and powdered sugar until you have a smooth white glaze. Tip: Make sure cake is room temperature or cool before pouring glaze over cake. Top with with raw pumpkin seeds and dark chocolate chips or chunks — allow glaze to set before cutting and serving. 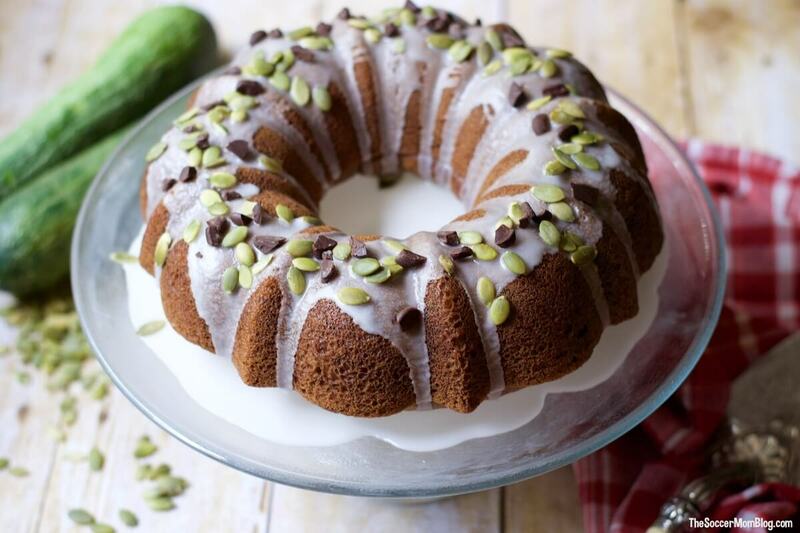 A moist and gluten free Zucchini Cake that is super simple to make and great for entertaining. 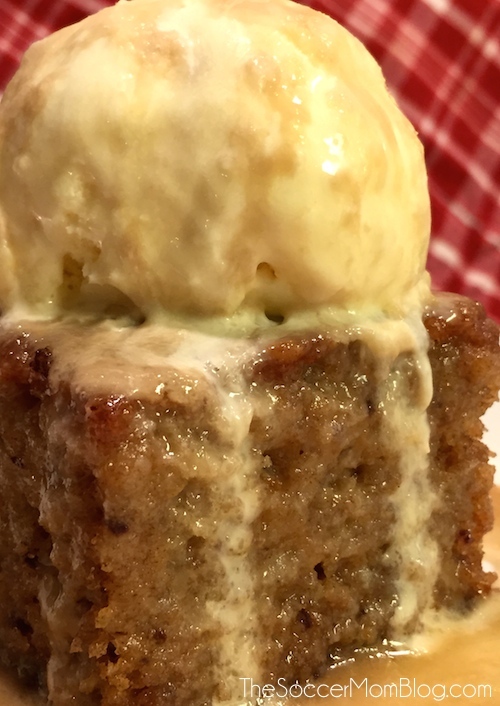 Slowly drizzle glaze over cooled cake. Top with with raw pumpkin seeds and dark chocolate chips or chunks — allow glaze to set before cutting and serving. Looks great! And really a lot healthier than most cakes, looking forward to make it!